Taking kids for hiking adventures in a place as stunning as Bryce Canyon National park gives kids an incredible experience of nature. It is also one of the best ways to bond with your kids. Explore woods with your kids and make them experience the beauty of nature, especially as they’re young. And if you need a place to stay in Bryce, get in touch with us. Going on hiking in the woods, playing in mud, hiking across the mountains, experiencing wild weather and thunderstorm, is surely something that your kids might look forward to go with you again and again during their holidays. Richard Louv an environmentalist in US, in his book Last Child in the Woods he says that children who experiences nature in fact strengthen their self confidence and interest in learning more about the nature. The first edition was published in 2005 and now it is available in the international market. The book is aimed to support more ecological education, and also teachers, parents, architects, city planners, business owners and politicians will know the significance of nature and how it helps kids to develop their self confidence. He says that the bond between nature and children has been disengaged, that is why parents should engage kids in such activities and help them bond with nature. He also argues that the mental and physical problems that children are facing today are also because of their disconnection with nature. He subtitled his book “Saving Our Children From Nature Deficit Disorder”. The author Louv conducted various studies and interviews with scientists and educators to accomplish his conclusions. He connects the large number of obese children in America and the regularity of attention hyperactive/deficit syndrome to the deficient of contact with nature. He believes that healing power of nature can be experience only when you know the importance of the nature. Taking kids out into nature and give them an opportunity to contact wilderness directly will definitely strengthens their self-esteem, and helps them develop their personality, reading ability etc. According to louv, people who are close to nature during their childhood will grow up as a respectful person. Author thinks differently based on his own experience. He suggests children to build tree houses, he tells kid to spend nights in cabins and observe wild animals closely moving in the woods. This kind of idea may look out of the way to a protective parent and also it is not possible in the city. But louv has solution for city kids as well; he says whenever they get holidays they can plan a trip like this to spend some quality time with their family. According to Author, spending quality time with kids like taking them for hiking can help them develop love towards nature and also it strengthens their self-esteem. These kinds of adventures events help them bond with nature and make them a better person when they grow up. He suggests that parents must take time out from their busy schedule and take their kids to hiking, etc. So the bottom line is take your kids outside. 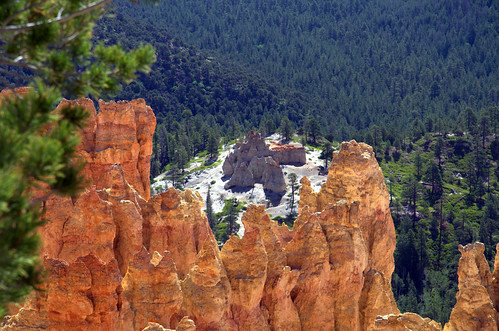 Take them to see places as beautiful as Bryce Canyon, places they’re never forget. And as always in you need lodging in Bryce Canyon we’ve got you covered.